But, what has led to its rise in adoption? What are these challenges that merchants face and mPOS solves? 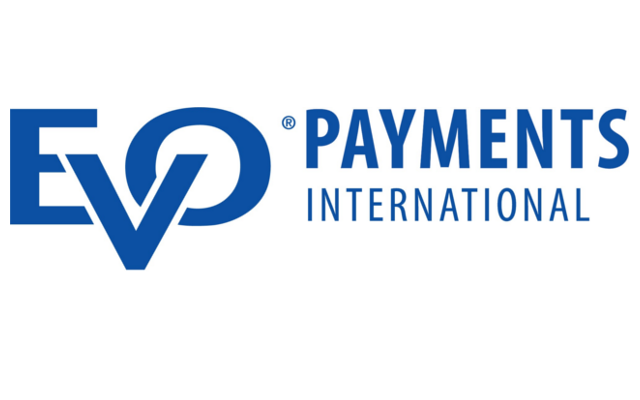 To know more, we caught up with George Wilcox, SVP, Product Development for US & Canada for EVO Payments International. Ingenico Group: How have mobility solutions evolved in U.S. in the last 5 – 10 years? George Wilcox: Mobile point of sale has drastically changed over the past few years. A smart phone and a simple card reader, which was once used to occasionally swipe a credit card, has grown to a more robust and feature-rich solution that merchants of all types and sizes are finding useful. Some of these features include adding sales tax automatically, efficient sales reporting through web portals, and suggested tip amounts. The advances in smart devices like phones and tablets, combined with their reduced costs, has helped merchants and app developers bring new functions to a go-anywhere, pocket-sized device. IG: What industries do you see adopting mobility solutions more than others and why? What are the factors leading to the increased adoption? GW: Merchants of all sizes are now seeing the advantages of having an mPOS solution in their business and in the hands of their staff. Coffee shops, pizzerias, salons and spas, and laundromats are some of the vertical markets that are seeing the benefits of mPOS for their businesses. mPOS offers flexibility for merchants who may not need a standard point of sale (POS) system. Beyond flexibility, speed and simplicity, combined with a lower implementation cost, has reduced the need for large POS systems and checkout lanes. mPOS app developers are also integrating new features that often plug and play with a merchant’s existing traditional POS. For example, small retailers, such as boutique and vintage clothing stores, have found that an mPOS in the hands of each of their staff makes a customer checkout quickly from anywhere in the store and reduces the number of walk-out customers when the checkout lines get long during rush periods. IG: What are some of the new challenges that merchants across industries face today and how do mobility solutions address that? GW: Consumers want more personalized shopping experiences with a painless checkout. For a retailer, bringing the “Amazon Experience” into the store is the new expectation from consumers. For the restaurateur, patrons expect a more interactive ordering experience and convenient payment options right at the table. The latest mPOS solutions help empower the merchant’s staff to provide this personal experience and offer new ways to engage with customers. Customers expect newer technology, reduced wait times, and more convenience – which means merchants need to curtail their payment processing towards bettering the checkout process, something that mPOS helps them do. IG: What is the most common reason why your customers opt for mobility? GW: Today, many of our hospitality merchants are looking to mPOS to perform a transaction at the table or accept card payment while on a delivery. Retailers look at mPOS as a way to setup seasonal kiosks or special event sales away from their primary store front. Then there are merchants who operate outside of the standard brick and mortar storefront who utilize mPOS to accept payments from anywhere, such as at-home hair dressers or vendors. Typically, merchants are looking to reduce wait times, increase efficiency for their staff, and increase payment options for their clients. IG: What do merchants need to keep in mind while implementing mobility in their business? GW: Merchants should consider how they will use mPOS now and in the future. They should be selective in choosing a mobile device that will fit their needs and keep in mind most consumer mobile devices generally only have a two-year life expectancy. Merchants should also consider if they need an mPOS that integrates with their current POS solution and research the integrations available because chances are there may be several mPOS applications compatible. IG: How do you see mPOS evolve in the future? GW: mPOS solutions will focus more on customer engagement features and offer a range of back-office analytics for merchants to better interact with customers. The mPOS will augment a merchant’s traditional POS system and be a standard part of a merchant’s POS solution as merchants begin to consider checkout as a customer’s entire shopping experience.